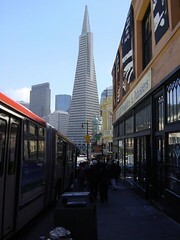 I am back from our first Board of Director’s meeting in San Francisco. The sheer amount of legal formality required in conducting business as a corporation is really quite interesting. They aren’t kidding when they say it will increase the amount of paperwork you deal with. Just as an example, my business partner Micah needed to open a business bank account a few days after incorporating. He approaches the teller and she informs him that she needs to see the minutes to a company meeting. Not one to be carrying the minutes to all his meetings in his wallet, Micah was in a bit of a bind. However, one of the bank employees had the proper form to fill out for the minutes to a meeting. However, by law, there has to be a minimum of ten days and maximum of thirty days notice to the shareholders of a company before a shareholder meeting may commence. So you can see the conundrum here as in this situation, Micah had only given himself about five minutes notice, well under the required ten days. Fortunately, there is a waiver form a shareholder can fill out to state that he or she did not receive the ten days notice, but that it is just fine with the shareholder. So as the sole shareholder, Micah had a quick meeting, filled out the minutes, filled out the waiver, and got the damn bank account open.